Shawn Perry & Johny Love Back In The Ring At Friday Night Fights - Shawn Is Fighting For The WKA Muay Thai Title Belt! Shawn Perry & Johny Love Back In The Ring At Friday Night Fights – Shawn Is Fighting For The WKA Muay Thai Title Belt! Come out and support your ‪#‎ATeam‬ family members Shawn ‘Machete’ Perry & Johnny ‘Love’ Pina Fighting this Friday at Friday Night Fights New York City, and get a chance to see an amazing display of heart and skill in the art of Muay Thai! Join us at Friday Night Fights this Friday to root for our very own Johnny ‘Love’ Pina, and Shawn ‘Machete’ Perry who is fighting for the WKA Title belt. 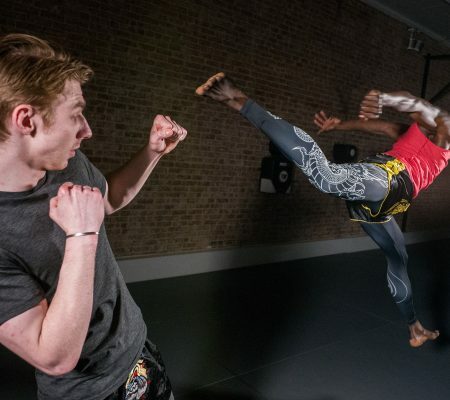 At Anderson’s Martial Arts Academy, the art of Muay Thai is simple and brutally effective. Muay Thai is one of the world’s most effective striking based arts. 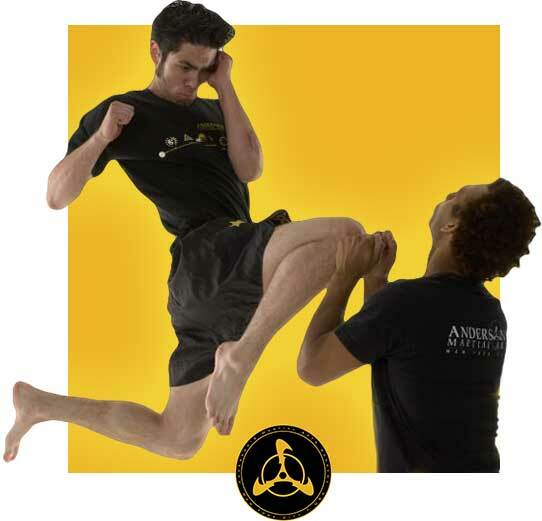 After training in our classes, you will grow in your self-defense skills and competition ability due to the mix of the brutal standing clinch, devastatingly effective kicks and knees, and amazing physical condition. While most of our students never have a goal to compete, those that do will have a great home place for their professional and amateur fight goals. 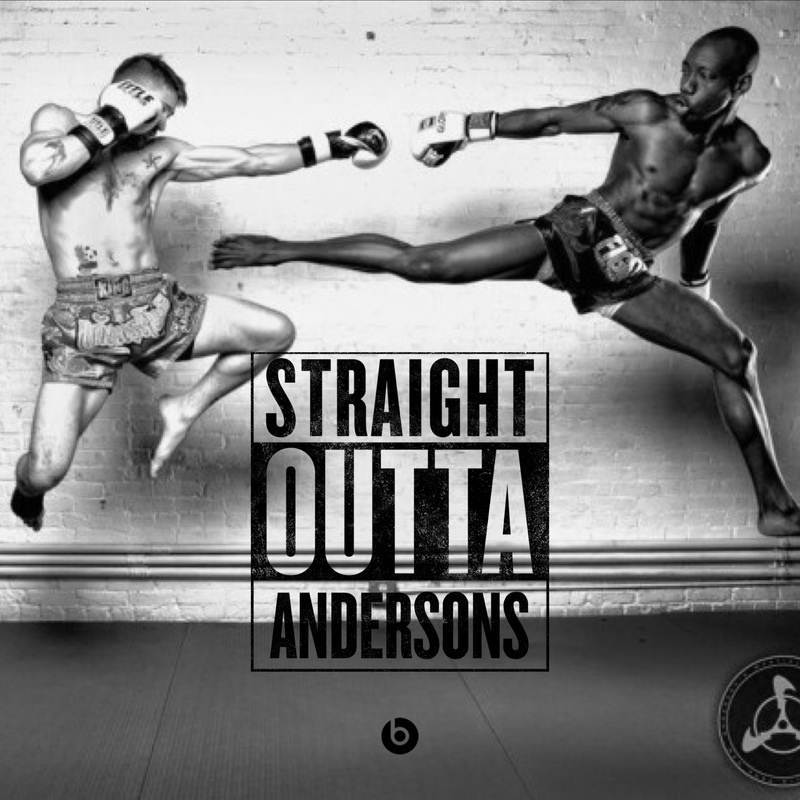 Anderson’s Martial Arts is proud to say that we have produced many world and state champions in Muay Thai – we even have a special competition team training for those whose goal it is to fight in the ring. 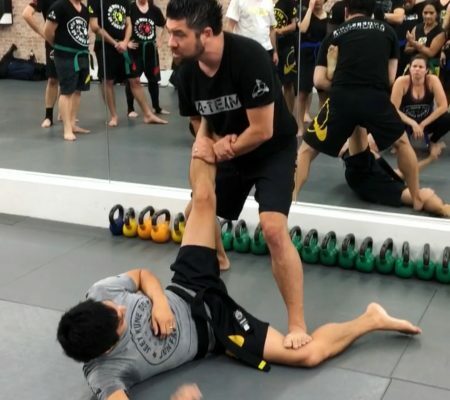 If you want to learn real Muay Thai for self defense and fitness, our school delivers – we’ve been teaching the art to a great variety of individuals for over two decades. Please check our schedule below to find a Muay Thai class that fits your preference. We also teach Muay Thai in Jeet Kune Do (JKD) 1, 2 & 3 classes. Beginners and those with experience are welcome to classes, as we have multiple instructors helping and guiding our students in class. 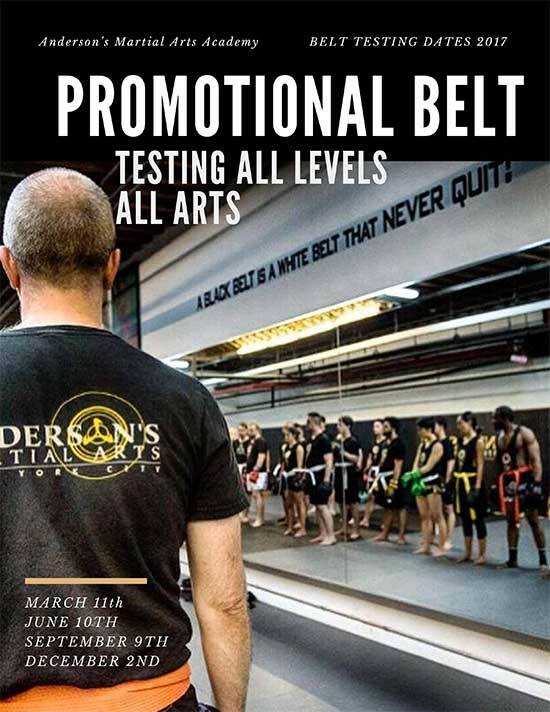 CALL 212.766.6622 OR USE THE CONTACT FORM TO SIGN UP TODAY!